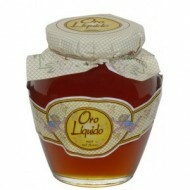 Buy Thousand Flowers Honey, Oro Líquido 17oz. in glass jar. Thousand Flowers Honey exquisitely packaged in a glass amphora. Precious. With all the beneficial properties of honey, with beekeeping and sustainable agriculture, we get this honey of a thousand flowers. Delicious. Buy Orange Blossom Honey Oro Líquido. This blossom honey known for its penetrating softness on the palate. The Orange blossom honey has sedative and relaxing qualities, so it is suitable for sleep. 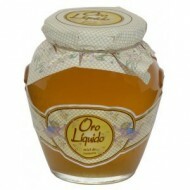 Oro Líquido Honey comes packaged in a glass amphora. Precious. 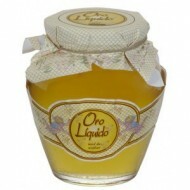 Buy Rosemary Honey Oro Líquido 17 oz Amphora. Contains vitamin mineral properties and nutritional level, plus the characteristic flavor and aroma of rosemary. It has invigorating qualities, and is very beneficial for the digestive and effective liver stimulant. 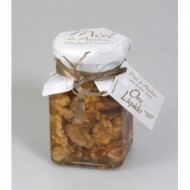 Buy Orange Blossom Honey with Nuts Oro Líquido 7oz. This blossom honey known for its softness penetrating on the palate and mix honey with nuts taste is as exquisite as pleasurable as healthy. Orange Blossom Honey with Nuts comes packaged in a glass amphora. Buy Orange Blossom Honey with Toasted Hazelnut Oro Líquido 7Oz. Orange Blossom Honey known for its softness and when mixed with nuts, the flavor is most exquisite, as pleasurable as healthy. Try all our Honeys, rosemary honey, honey of a thousand flowers, with nuts and honey natural, in each find a different flavor. Sweeten your day, buy honey. 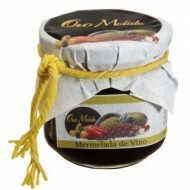 Buy Wine Jam Oro Molido 7oz. Aprox. Enjoy our wide variety of flavors: red wine jam, loquat jam , champagne jam, caramel pear jam, all in gourmet jams. Make your desserts and delightful. Spanish gourmet products. 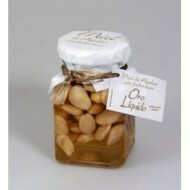 Buy Orange Blossom Honey Toasted Almond Oro Líquido 7Oz. Orange Blossom Honey known for its softness and penetrating on the palate when mixed with dried fruit taste is as exquisite as pleasurable as healthy. This blossom honey and toasted almonds comes packaged in a beautiful amphora. 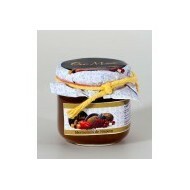 Buy Loquat jam Oro Molido 7oz. Oro Molido Jams have been made in a traditional way, getting a bland flavor and original taste, providing a very nice texture and intense color, which is the same, unique and special marmalade. Enjoy our wide variety of flavors and Spanish gourmet products. 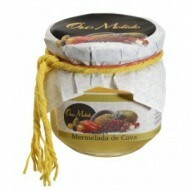 Buy Cava jam Oro Molido 7 oz. 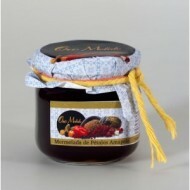 Oro molido Jams have been made in a traditional way, getting a bland flavor and original taste, providing a very nice texture and intense color, which is the same, unique and special marmalade. Enjoy our wide variety of flavors and Spanish gourmet products. 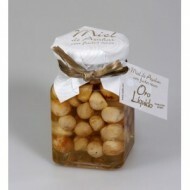 Buy Marmalade Candy Pears Oro Molido 7 Oz. 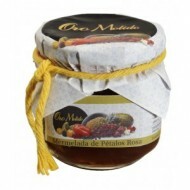 Oro Molido Jams have been made in a traditional way, getting a bland flavor and original taste, providing a very nice texture and intense color, which is the same, unique and special marmalade. Enjoy our wide variety of flavors. Buy Poppy Petal Jam Oro Molido 7 Oz. Enjoy our wide variety of flavors in gourmet jams: pear jam, cava jam, wine jam, loquat jam, among others. Sweeten your meals and desserts with gourmet jams. 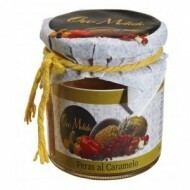 Spanish gourmet products..
Buy Rose Petals Jam Oro Molido 7 oz. Oro Molido Jams have been made in a traditional way, getting a bland flavor and original taste, providing a very nice texture and intense color, which is the same, unique and special marmalade. Buy Violet Petals Jam Oro Molido 7 Oz. 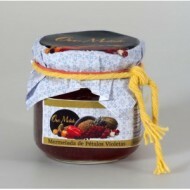 Oro Molido Jams have been made in a traditional way, getting a bland flavor and original taste, providing a very nice texture and intense color, which is the same, unique and special marmalade. Enjoy our wide variety of flavors and Spanish gourmet products.